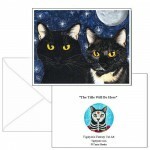 Strangeling's Felines -Note Card- A black cat & a tortoiseshell cat under the full moon & st..
Strangeling's Felines - Keychain - A black cat & a tortoiseshell cat under the full moon &..
Strangeling's Felines - Magnet - A black cat & a tortoiseshell cat under the full moon & sta..
Strangeling's Felines - Prints - A black cat & a tortoiseshell cat under the full moon & sta..
Strangeling's Felines - Limited Edition Canvas Prints - A black cat & a tortoiseshell cat under ..
Strangeling's Felines - Bookmark - A black cat & a tortoiseshell cat under the full moon & star filled night sky. 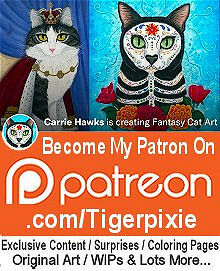 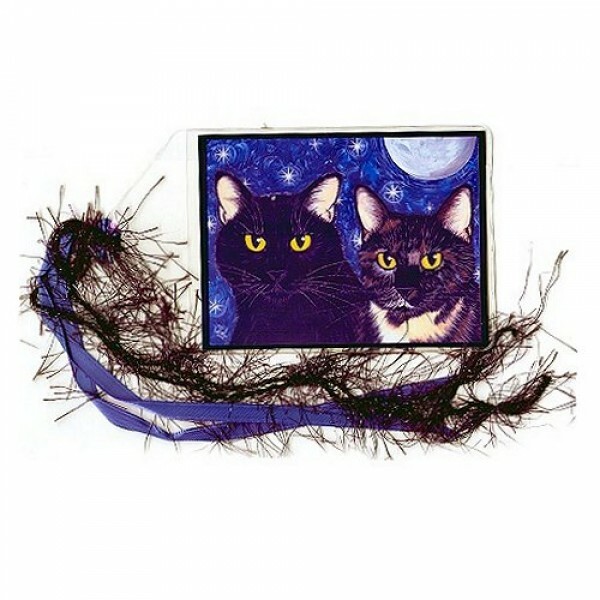 This is a custom pet portrait of fantasy fairy artist Jasmine Becket Griffith's two cats. Strangeling's Felines -Note Card- A black cat & a tortoiseshell cat under the full moon & star filled night sky. 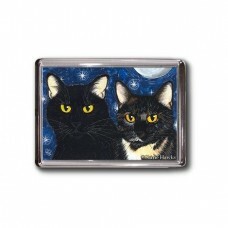 This is a custom pet portrait..
Strangeling's Felines - Keychain - A black cat & a tortoiseshell cat under the full moon & star filled night sky. This is a custom pet p..
Strangeling's Felines - Magnet - A black cat & a tortoiseshell cat under the full moon & star filled night sky. 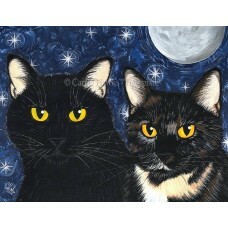 This is a custom pet portrait ..
Strangeling's Felines - Prints - A black cat & a tortoiseshell cat under the full moon & star filled night sky. This is a custom pet portrait ..
Strangeling's Felines - Limited Edition Canvas Prints - A black cat & a tortoiseshell cat under the full moon & star filled night sky. 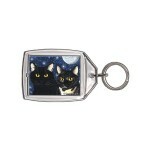 This is..